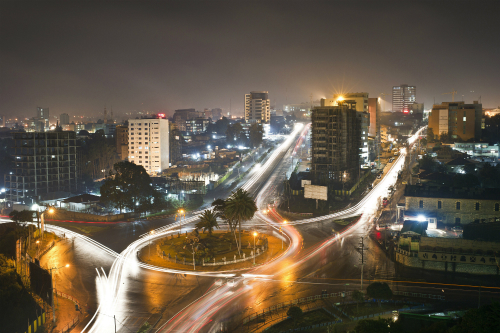 Ethiopia is Africa’s fastest growing economy. According to sevenby30.com, the media has an image problem. Unfortunately, the mainstream media constantly paint with the same brush. The major media outlets sing with the same tone. Their monotonous melodies distort the vibrant reality of thriving, modern, and diverse countries such as Ethiopia. One of my greatest passions involves telling NEW stories. While a story may be new to me, it may be old to someone else. While a story may be old to someone else, it may be new to their neighbor. Presently, I’m typing alongside the receptionist at my guest house. It’s 2 am here on November 30th. (I started this blog post at 10 pm. We’re laughing now as I just updated the time for the fourth time.) We were up until 2 am the other night as she showed me video after video of stellar artists in the region. I continue to pause as she stops my writing to ask if I know certain things about Ethiopia, such as “genfo” a porridge type dish or if I’ve heard of Yared Negu, a brilliant musician and singer from Addis Ababa. I’m getting an earful and I am just getting started. It’s only day 3. Mesenbet is the one over my shoulder as I type. She is helping me remember everything as I post this. Her name means RAPTURE in Amharic. I believe she’s ready. She has a heart of GOLD! And on this day, because of YOUR generosity and because of YOUR giving, I’ve been able to #giveBIGethiopia. Their economy is the fastest growing one in Africa. Yes, this is true. What is also true is that some future entrepreneurs need funding to get started. What’s true is some kids just simply need a burger and a shower. What’s also true is that there’s a seamstress just a few doors away who is deaf and needs a sewing machine to generate more income for her family. She’s the friend of the housekeeper who washed my clothes yesterday. What’s sobering is that the hospital, just a seven minute walk away, cares for a man without enough funds to pay his rent upon leaving. Because of your giving, I am able to meet these needs in less than two days. Today, I walked outside and noticed a tailor right across from our guest house. My purple wrap from my great-grandma who passed at 103 appeared a bit tattered at the neck. I trekked a few paces and exchanged smiles with him and the security guard in his tent. I showed him the torn part. He took the garment, attached to the machine, and swapped the other garment out for mine. In about a minute, he finished sewing it back into place. This wrap belonged to my Great-Grandma Maudlean Brown. My sister Karieta saw it in Grandma’s house when we were cleaning after she passed. She said, “This is so you.” Grandma was 103 and a loyal missionary. Although she never rode on an airplane, her prayers and work reached the nations. I then asked him how much it would cost for every garment in the tent to be paid for. He replied, about 50 birr for the day. I then gave him 50. And then 50 more. I asked him to make sure that everyone who already brought garments didn’t have to pay for the tailoring today. Fifty birr amounts to about $2. Skills! No power needed for this machine. I can’t wait to buy three tomorrow–I mean later today. I’m excited to meet the new businesswomen. Snipping away excess thread. Before I leave, I’ll receive lessons from either him or Welde, the manager at our guest house. Welde said it’ll be easy for me to make my own clothes. That’s my goal! Later I also got my shoes cleaned for 5 birr, which amounts to about $0.18. I gave him 50 birr. He said in a day he might make 50 birr. He also showed me an incredible way to double bow tie my shoes! Before cleaning my shoes, he had a friend run and buy a plastic bag so that my socks wouldn’t get wet. His friend taught me 1-10 in Amharic although I still haven’t nailed it. Practice makes perfect! Manager Welde was kind enough to be my guide as he took me from place to place. He does work for Red Cross and this was nothing new to him, but he stated that it was very different. His spirit and heart warmed mine deeply. Please say a special prayer for Welde! He helped me immensely with translations and deepening my understanding of the culture. He was a patient teacher too because I struggled with Amharic all afternoon. As I spoke with the manager of my guest house, Welde, he helped answer some questions for me and suggested that I take a walk to the hospital. As I made my way to the hospital, a 5th grader stopped me and began asking for money to buy food. I told him to walk with me, but stopped to ask if he had any friends who needed food too. Long story short, four boys took us up to the second floor of a restaurant nearby. They ordered specialty pizzas, burgers, and juice. 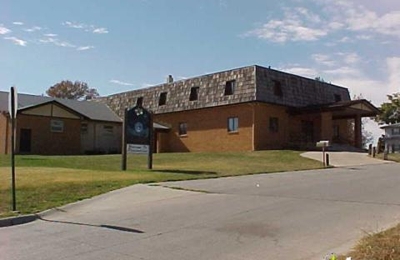 Their joy could be felt all the way in La Vista, Nebraska. Unbelievable! The manager of the restaurant expressed his gratitude along with the staff, family, and friends in the neighborhood. All of the boys insisted that they fed me a bite. Each fed me something. I insisted that the meals were just for them. They wouldn’t let me leave until I ate some. Ever tried tuna pizza? I asked if I could pay for the boys to shower somewhere and Manager Welde said that they could use the guest house. Incredible. It was Welde’s idea to capture this moment. I’m so glad that I did. Now, what kind is that? Digging in with my future football, music, and dance instructors. I’ll feed myself this time, thank you! Who doesn’t love pizza and burgers? Oh my gosh. I just realized that I ate cheese today and didn’t get sick. Thank the Lord. I can’t eat dairy. “Try this.” I think that’s what he said in Amharic. The young businessmen who sold me plenty of napkins, gum, and wash cloths. Welde and I appreciated the help with carrying the heavy bags downstairs. While I prepared to leave, I saw two boys selling tissues, cigarettes, gum, and candy. I bought 100 birr of items. I skipped on the cigarettes. They later helped the guest house manager and I carry juices downstairs. Welde and I walked to the hospital and noticed a man selling bananas. He stopped us to ask if we wanted to buy some. I bought all of his bananas. The man then walked with us to the hospital where we went door to door with the doctor and staff delivering mango juice and bananas. I walked in on a Muslim man praying while his roommate received the food and drink. Ahmed helped carry the bananas I purchased from him to the government hospital. The doctor walked door to door with us to direct us on our giving. Such an honor to work with people with such big hearts! Especially on the fly! No clue what I was saying here! The doctor took me to the person who had the least amount of money and the least amount of visitors. I wanted to know about the greatest need. It was there that I met Addis. Addis Ababa means “new flower.” Mr. Addis sat with speckled gray, white, and black hair–donning a bright smile upon our entrance. With only one daughter, a divorce on record, and a grateful heart, Welde translated back and forth as I asked the man of his monetary needs–specifically for housing. I asked if all of his bills were covered. He stressed that he owed much in rent. I asked the cost of rent for one month. He said about 400-500 birr. It amounts to approximately $14-$18 USD. I let him know that because of my friends and family around the world, I would pay for his rent for a full year. Earlier he cried over the bananas and juice. Let’s just say he did a bit more upon discovering the news about his rent being covered for a year. The doctor had to walk me out of the room because I was so overwhelmed on so many levels. My tears of joy wouldn’t stop flowing. I was in awe of how such a small amount money in the US can take care of someone’s accommodations in another land for an entire year. Here he wrote a word of thanks and a way for me to visit him at another time. I look forward to returning to see him and prayerfully meet his only daughter. Tomorrow, God willing, I’ll buy three sewing machines for three future business owners. One being the mother who is deaf. I’ll also plan to take two of the sewing machines to the Mother Teresa Missionaries of Charity. I look forward to purchasing enough to clothe the dozens of babies and children that I saw two days ago at the charity. I have enough donations to buy over 100 pairs of shoes to give at the charity. Tomorrow, God willing, I’ll meet with Pastor Buta, a Church of God in Christ pastor and meet the student who will receive a $500 USD “7×30 InstaFam/FacebookFam Scholarship.” Five hundred dollars is enough to cover one full year of tuition, books, etc. at many colleges and universities in Addis Ababa. For those who are unable to give financially, will you consider fasting until 6 pm daily and believe God with me for lives to be miraculously transformed? This evening I met with two fellow Oral Roberts University graduates who live and serve in Addis Ababa, Ethiopia. Their children brought so much laughter and joy to our table as we ate traditional, delectable Ethiopian cuisine. (Saniya was a brilliant Amharic teacher. She even wrote some English/Amharic lessons in my journal that I’ll always treasure.) My favorite dish, gomen, tastes similar to collard greens. Confession: I finished the last of it. We ate at the Laphto Mall at the Kategna Restaurant. Richard and Amanda are friends with the man who co-owns the mall with his brother. The co-owner provided our fish for free since I’m not eating meat on this trip and am gradually cancelling it out entirely from my diet. I consider myself a convegan–I’m a vegan when it’s convenient. Pray for me, y’all. And to think, I thought I made up “convegan.” Urban Dictionary already had it locked and loaded. If you read his resume alone, you’ll be challenged to go further, do more, and be more. If you watch Amanda’s methods of teaching, questioning, and leading, you’ll be challenged to level up. Before we left their home–where their children were wildly anxious to show me their rooms, stuffed animals, and prayer journal–Amanda blessed me with a traditional Ethiopian netla (scarf). As it is my custom, I wept. I’ve been eyeing them since I arrived and simply whispered a prayer that I would receive one as a gift. We all have a part to play. There is still plenty of time to give. Although I flew here to begin work with the historic Ebenezer Baptist Church. Although the Assistant Pastor Bronson Elliott Woods, another minister, Pastor Lonzell Blackmon and I did a walk through at the Mother Teresa Missionaries of Charity two days ago, our medical missions trip work will not officially begin until 5:30 PM tomorrow, November 30. I’ll render Lift Every Voice and Sing at the Ethiopia Graduate School of Theology before Ebenezer’s Assistant Pastor speaks. Assistant Pastor Woods of Ebenezer in Atlanta, GA and Pastor Blackmon of Little Rock, AR. My father, who is the Senior Pastor of Christ Cathedral Church of God in Christ, paid for my flight to Ethiopia. My church, Christ Cathedral, covered my $150 flight from Omaha to Atlanta. I’ll cover my lodging, which amounts to about $20 daily. I have a sneaky suspicion that I may not even have to pay that full amount. I think the guest house staff has taken a liking to me. I know I like them! I’m using the computer right now as Mesenbet jusssst brought out some tea for me for a quick break. God is so good. As the Executive Pastor of Christ Cathedral, I am not on salary, but I receive limited support for efforts such as this trip to Ethiopia. I am incredibly grateful. The work that I do outside of the church funds so much of my passion. Whether through substitute teaching, speaking, editing, or coaching, I am able to live as I am called. I forgot to mention that today, because of your giving, I received the honor of blessing 11 people with two-three days worth of wages. Twenty-five days worth of wages were covered because of you. $63 USD covered 11 people’s wages for a total of 25 days of wages. This is what #LetsGoDoBe is all about. Thank you for being part of this world-changing, life-giving tribe. I’m honored to march with you. 100% of all donations I receive–including book sales–go toward inland purchases, scholarships, and sustainability. My food, tourist experiences, etc. come from my wages and the funds of dear friends who have intentionally given directly to me. A special thanks to ALL who gave! No amount is too small. $5 goes a long way in this land. 1. Buy my eBook exclusively on sevenby30.com about planning for Antarctica–or any other trip for that matter. I increased the price from $0.99 to $7.99 (English) and $4.99 (Moroccan Arabic) to raise more money to give in Ethiopia. The price sat at a about buck for about two years. His haircut was too fresh. I couldn’t pass him without a photo. I saw two guys with a similar cut on the street, but I was getting my shoes cleaned and couldn’t get their attention for a closer look. Well, I just had to wait a few hours to see another fresh cut in person. The dress that I’m wearing is from diyanu.com. A fellow Oral Roberts University Addie Olutola graduate owns the company and invited me to be a brand ambassador. To receive 10% off of any purchase, use the coupon code KARISSA10. Please support the work of this phenomenal Nigerian businesswoman.